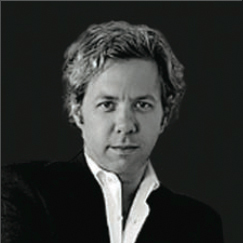 At 42, Michael S Smith has become one of the most well respected and sought after interior decorators in the country. With projects in both the United States and Europe, he has designed houses for Cindy Crawford, Wendi and Rupert Murdoch, Kate Capshaw and Steven Spielberg among others. Originally from Newport Beach, California, Smith studied interior design at the Otis College of Design in Los Angeles. He also attended a decorative arts program at the Victoria and Albert Museum in London, England. Upon returning to the United States, he worked for Gep Durenberger, renowned antiques dealer in California, then with New York interior designer John Saladino. After moving back to his home state of California, Smith opened a home furnishings store and began his own career in design. In addition to creating a line of reproduction furniture, Smith developed Jasper, his own fabric collection sold exclusively through showrooms around the United States. Additionally, he developed a fabric line for Cowtan & Tout, two exclusive ceramic tile collections for ANN SACKS, and three distinct lines of bath fixtures for Kallista. “A large part of everything I’ve designed in terms of furniture and fabrics relates to my desire to introduce something to the market that I haven’t been able to find elsewhere,” says Smith. Known for his inventive style of mixing Old World classicism with very contemporary settings, Smith customizes each project to reflect both the clients’ needs and his own taste. His work embraces the dichotomy of both town and country living, and seamlessly blends each to achieve a relaxed yet comfortable elegance. Many of his famed interiors are beautifully detailed in Smith’s new book, Elements of Style, published by Rizzoli and available now.